When you renovate or build a home, you would never start building without having an architect’s design to follow. The same rule should apply to your yard. Employing a landscape architect will ensure that your vision for your outdoor space will come to life. But, it’s also a lot more than just that. So what exactly does landscape architecture and design involve? Specifically, it is the process of researching, planning and designing all of the artistic and technical elements that will go into your yard. It’s the ability to foresee potential issues and plan accordingly. In short, it’s having a holistic design/build approach to your outdoor areas. Landscape architects and designers are trained to see what you cannot and design, plan and install accordingly so you have longevity in your greenery and a hassle free, issue free yard and outdoor living area. Here are some other benefits of the design/build process. The potential costs and options are laid out ahead of time. Landscape architects and designers are trained to think of landscapes as systems. They take into account your yard’s possibilities and problems to create a plan that addresses both. They will help you choose the right styles, materials, textures and colors to bring your project to life. However, they will also provide several options for each to make sure the design fits within your budget. Landscape architects and designers can help you plan out the design over time. They work with clients to implement their design over time (in phases) – whether that’s a few weeks, months or even years. Planning in advance for various phases allows for well thought out direction and is more efficient in every way. If needed, they also make sure the design can change with a client’s needs – such as a growing family. They save you time and stress. Having a detailed plan helps to eliminate surprises and unexpected costs. The landscape architect is in charge of all the details involved in the design – which reduces stress for the client. These experts offer guidance from start to finish. Your landscape architect or designer will follow your project through the construction phase and on to completion offering advice and expertise every step of the way. You will have a design and finished product that you will love! Landscape architects and designers will create a space that will not only be beautiful and functional, but will integrate with every aspect of your yard and house. They will also make sure it complies with local rules and regulations. In the end, you’ll get a space that fits you and your family perfectly, integrates seamless with your house – while adding tremendous value to your home. 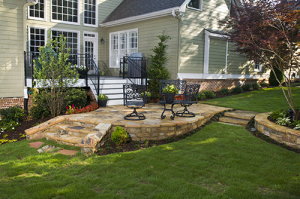 Etowah Group is proud to offer professional landscape design services to our clients. Our Design Division is comprised of our Senior Landscape Designer, Melda Duckworth, as well as two junior landscape designers/architects-in-training. The prices for landscape design services range from $120-$180 an hour. If you would like to learn more, please give us a call at (678) 354-0757. 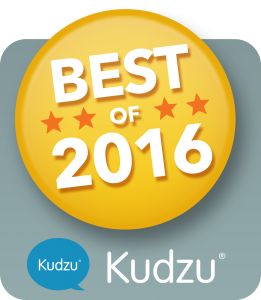 Etowah Group is excited to announced we have been nationally recognized as a top Full Service Remodeler in the 2017 Remodeling 550! Remodeling Magazine has compiled an annual publication of the top remodeling companies around the nation, the Remodeling 550, based on company submitted reports and publicly available information since 2009. The list features the industry’s top full service remodelers, replacement contractors, and franchise operations. The list recognizes outstanding companies in the home improvement industry for their superior total revenue, year-over-year growth, tenure in the business, volume of jobs performed, the high average value of each project, and general operational excellence. The 2017 Remodeling 550 list shows that the nation’s largest firms are bigger and healthier than ever, with sales at the 340 full-service companies, 154 replacement contractors, 11 insurance restoration firms, and 45 franchises on track to reach $5.17 billion in revenue this year. We specialize in creating breathtaking landscape design and installations for residential and commercial properties. Using European flair, Etowah transforms sprawling estates, large home sites, and corporate campuses into beautiful southern settings. We manage the design and construction onsite, bringing the client’s vision to reality – down to the final detail. We listen to our clients needs and exceed their expectations. 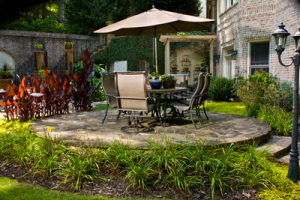 Call us today at 678-354-0757 and let our award-winning design team create a customized and relaxing outdoor environment that meets your budget and design needs. Our goal is to give you the best return on your outdoor investment. We make sure your new patio, fireplace or other outdoor area is designed to match your home, budget and lifestyle. But most of all, we want your new space to increase the value of your property. Three of the most important elements that will determine our design are shape of your yard, practicality, and lifestyle. The size and shape of the space can have a big impact on the overall cost of the project – from materials used to style. We also factor in the practicality of the design for your home and family. For example, if you have young children, we want to build a space that’s usable for whole family now as well as in 10 years when your children are teenagers. Finally, we always take the shape and style of the home itself into account. We won’t design anything that doesn’t flow with the look and feel of the home. We understand that people’s budgets can vary greatly from project to project. That is why we always present at 2-3 options to our clients in terms of price. For example, if a client wants a retaining wall as part of their backyard design, we’ll give them different options based on size, materials (such as concrete versus. natural stone) and complexity of the wall itself. We can even do certain projects in phases if clients need to spread the cost of the renovation over several months or a year. For example, if a client wants a large patio with a fire pit, we can install the patio now, and then install the fire pit several months later before the weather turns cold. The bottom line is we want to design and build backyard spaces that meet your needs! However, there are certain design elements we will never incorporate into our projects. For instance, we will not use wooden railroad ties or plastic borders in our landscapes or hardscapes. These materials tend to degrade faster than concrete or stone, which can cause aesthetic and structural problems for our clients. Our goal is to deliver a beautiful space that will last for many years to come. 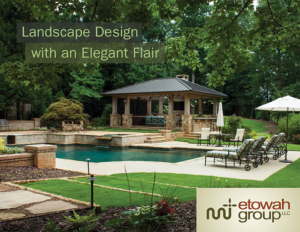 If you would like to learn more about our services and our design process, give Etowah Group a call at 678-365-0757. 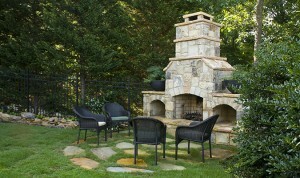 There are many different types of materials you can use to create an outdoor fireplace or patio. 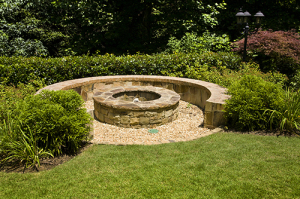 Outdoor fireplaces can be made of anything from concrete to brick to natural stone. You have even more choices with patios! Popular materials include natural stone like bluestone or flagstone, or basic concrete. No matter what you choose for your new project, you want to make sure it fits into the look and feel of your home and backyard. 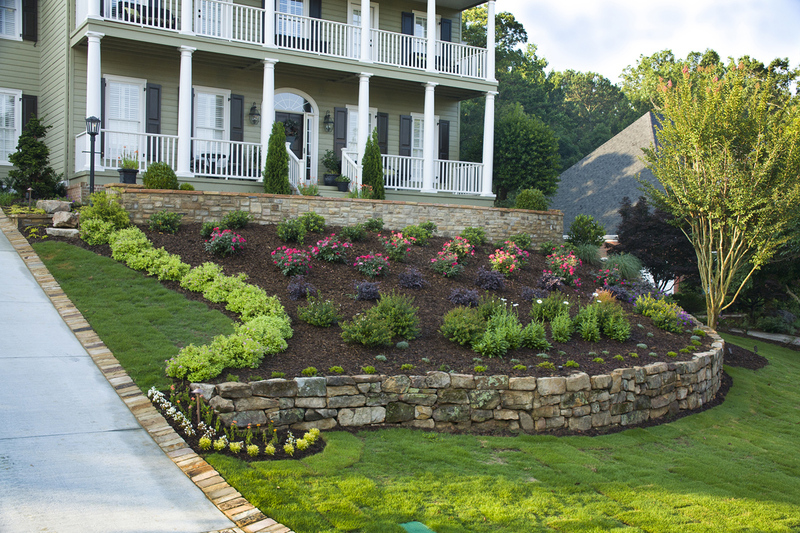 Here at Etowah Group, we are committed to creating beautiful hardscapes and landscapes that complement your home. For example, we always take the materials used in the exterior of your home into consideration when designing your patio or outdoor fireplace. We also never use more than three different types of material on your project to make sure it flows with the home and any existing structures in the yard. We believe taking a “less is more” attitude in creating elegant designs for your home. We also take into account client’s lifestyle as well as their wants and needs. For instance, if the client has a pool in their backyard, we would never install a patio with a naturally slick stone that could become slippery when wet. That would be dangerous to both the family and guests. Some popular materials used in outdoor fireplaces range from cast concrete, brick, stucco and natural stone. Here at Etowah Group, we often use crab orchard stone or a combination of stucco and stone on the face of the fireplace. Patios can vary greatly in size, shape and style. Some popular materials for patios right now are natural stone, flagstone, brick and pavers. We love using crab orchard stone and pavers to make your patio space pop! But no matter what type of material you select, we will make sure your yard looks incredible and stands out from your neighbors! You may also want to keep in mind that prices can vary greatly based on the type of materials used. For example, regular poured concrete is approximately $5 per square foot. Brick often runs between $7 and $9 per square foot. Concrete pavers cost between $10 and $20 per square foot. And natural stone can range from $15-$30 per square foot. Usually these prices include installation. If you’d like to learn more about Etowah Group, or get a free estimate, please give us a call at 678-354-0757. Your yard may not be in bloom, but there is still plenty of work you can do to maintain your plants and prepare for spring! The more you can do now, the easier it will be to get your yard looking great in March and April. 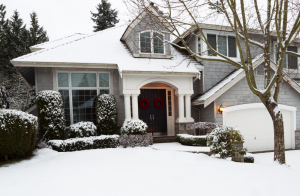 Protect trees and shrubs from the cold, ice and snow. Apply mulch around trees, plants and shrubs to guard against frost. Mulch also helps reduce water loss and maintain soil temperature around the roots. You can also wrap fragile plants in burlap, or create a “screen” with a large piece of burlap and two stakes. Once the cold spell is over, make sure to remove the burlap to prevent the plants from overheating. Remove dead branches and limbs. Make sure to inspect your trees for any dead or diseased limbs that could fall during a snow or ice storm. Pick up any limbs or branches that have fallen onto the grass to prevent damage. Avoid walking across your yard. Try to prevent people from trekking on the same patch of yard. Grass is fairly hardy, but this can make it more difficult for it to recover in the spring. Use your Christmas tree as mulch or compost. You can put the tree into a chipper or shredder and make mulch for the upcoming spring. You can also chop up the tree and use it as plant compost. Repurpose your Christmas/Holiday plants. 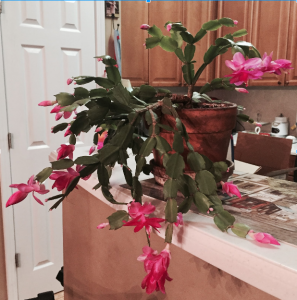 Don’t toss your topiary or Christmas cactus! You can easily repurpose them in the garden or in your home. Christmas Cactuses are considered a tropical plant, so they need to stay indoors until the weather turns warm. Come February, you can repot your cactus into a larger container and fertilize it with 0-10-10 ahead of its growing season from April to September. Come October, put it in a cool, dark room with limited water to get it to bloom. The plants typically need 12-14 hours of darkness to get it to enter dormancy, which is key to getting it to bloom. Topiaries such as rosemary, boxwoods or lemon cypress can stay in the house until the last frost, typically mid-February. You can then take them outside and plant them in a garden. Rosemary can be used as a shrub (it typically grows to 3 feet by 3 feet) or to anchor an herb garden. Most are evergreens, and are pretty hardy in the cold. Poinsettias need a “rest” period after they bloom for the holidays. After all the flower buds drop off, decrease the plant’s water and put in a cool dark area until spring. Starting in March or April, you can bring it back out and give it food, sun and water. We recommend cutting it back to about 6 inches and fertilizing it at least once a month with standard plant fertilizer. You can also pinch back its tips once it gets about 6-10 inches high to encourage the poinsettia to go fuller instead of taller until August. Starting in September, the poinsettia needs about 12 hours of darkness to get ready to bloom. But make sure to bring it out during the day so it gets enough energy. That will help its leaves turn red again in time for the holidays!